The gold-coloured golf club priced at $3,755 that Japan’s prime minister, Shinzo Abe, gave to Donald Trump, America’s president-elect, in their first meeting last month may have been a piece of polished diplomacy. But it is unlikely to revive its posh Japanese maker, Honma, which calls itself “golf’s aristocracy”, presumably because it crafts the world’s most expensive clubs. It went bankrupt after Japan’s bubble-era splurge on new golf courses. Seven years ago a businessman from China bought the firm, hoping for an upswing. 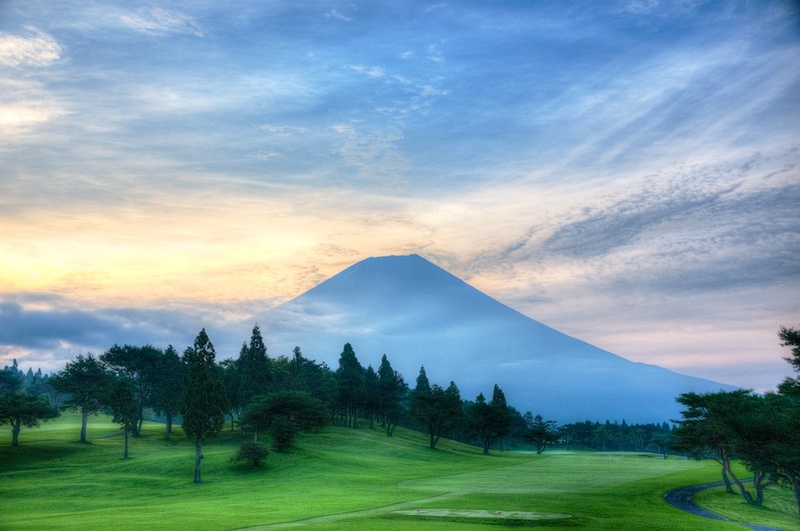 Golf, long associated with extravagance in Japan, is flagging. Clubs have trimmed green fees as the level of golf-playing among Japanese has fallen by over 40% since a high in the early 1990s. As elsewhere, courses are in oversupply: Japan has over 2,300—half of Asia’s total. More than 120 have closed since 2010. Entrepreneurial types have converted about 70 into solar-panel plants, encouraged by state subsidies for alternative-energy production following the disaster in March 2011 at the Fukushima Dai-ichi nuclear-power plant. A few others have been turned back into farmland. Junichi Oishi of the Japan Golf Club Employers’ Association in Tokyo thinks at least 500 more will need to shut within the decade. The golf industry’s health has long mirrored that of the economy, says Yuki Morita of the Japan Golf Association, which supports players and clubs. That is because of the importance of settai, or business-invitation, golf. In the late 1980s golf-club memberships were so valuable that they were traded like securities through brokers, the most exclusive fetching up to $2m. Fresh corporate recruits were expected to take up the game. What is Tiger Woods’ Net Worth? © 2016 Solo Pine Designs, Inc. All rights reserved.